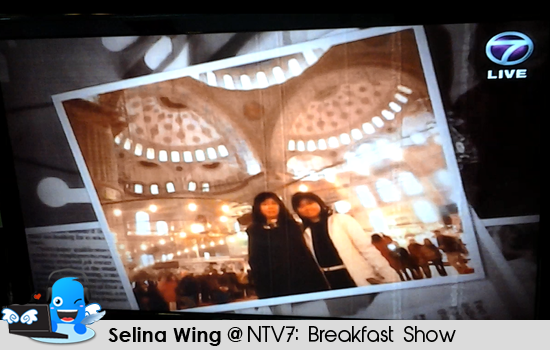 Selina Wing featured in the Breakfast Show NTV7 - TV Live on Tuesday, 11 Dec 2012! 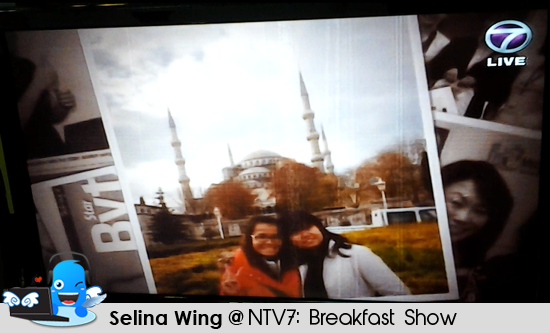 I am very happy when I got an invitation Breakfast Show NTV7 from Sara Lisha and Lynn on my first time! I also received an email and SMS from them! 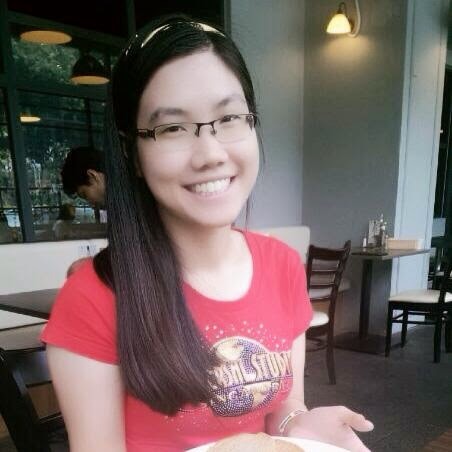 Wow, it is great experience for me in my life! I am lucky! I never appeared in TV show b4, sure I am very anxious and worry so much! I am not good at wake up so early! But, I cannot sleep and always think something about what I need to answer...! 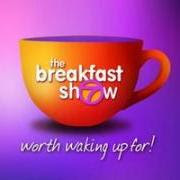 Seriously, the Breakfast Show is a morning live talk show, airs every weekday from 8.00am to 9.00am, mean you can watch me on the LIVE??! Cool! 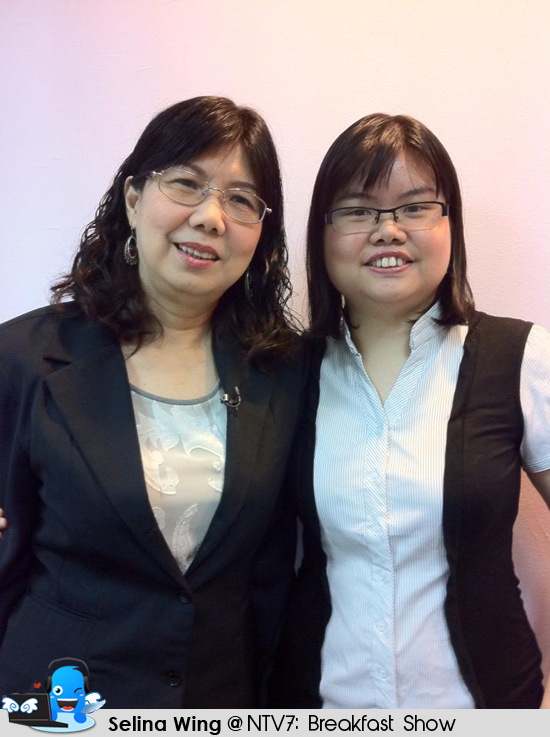 With Sasha and Lisa, the host of NTV7 "Breakfast Show"
I bring my mom to be my interpreter for the Breakfast Show NTV7 Studio. I also met the hosts, Sasha and Lisa on my first time. They are very celebrity & beautiful ladies! 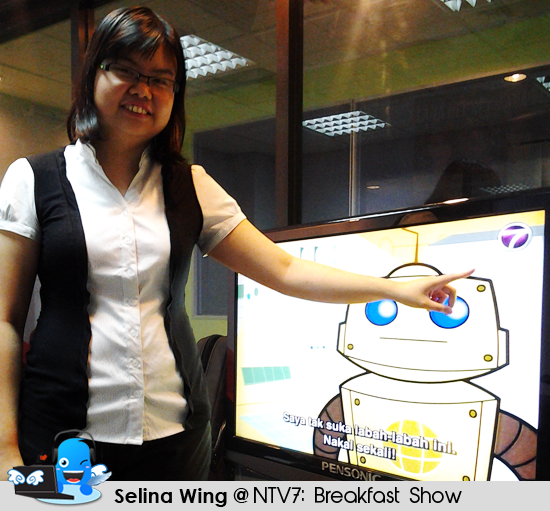 I also teach them to use sign language, "Good Morning" and "Thank You" before this NTV7 live. 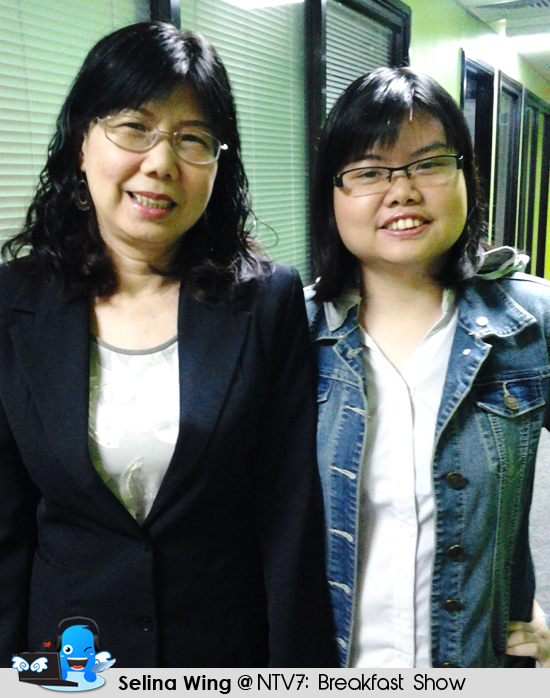 My mom, sister and I reached NTV7 Studio so very early, 7am! We are anxious and walk around the waiting room... First time, the TV assistants and make-up artist always make sure everything is okay about me and my mom! 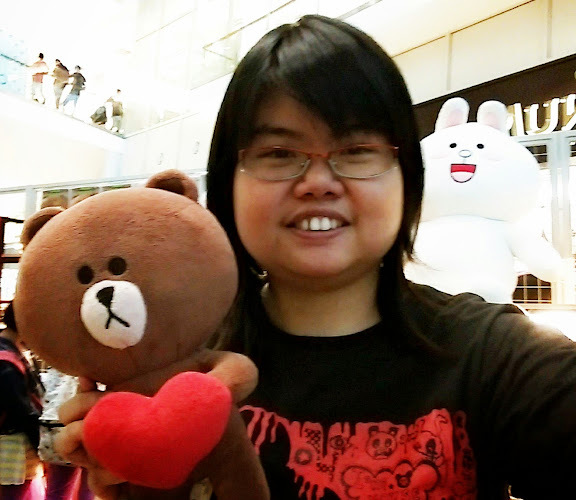 They are friendly and also make me calm down and not worry about it. 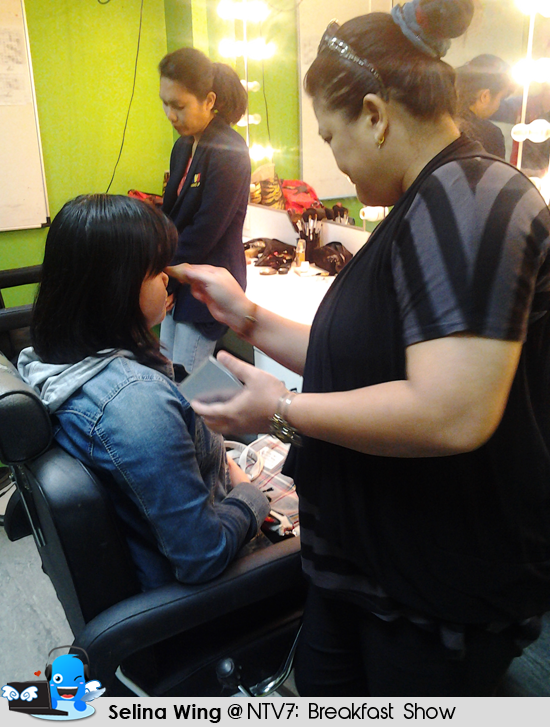 After we make-up in the room, we looks different in the TV studio? Be prepared for it! 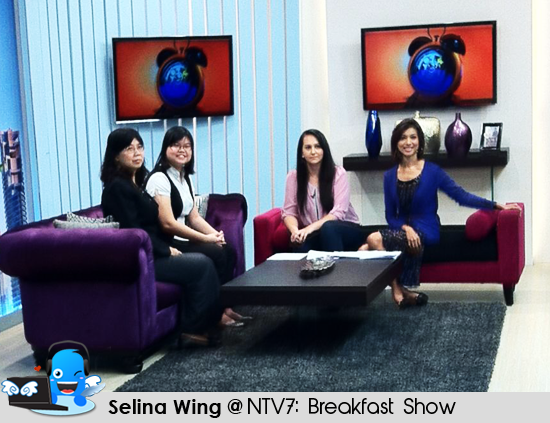 We sit down on the sofa before the LIVE NTV7 be appeared...I am excited but, I always scare to forget my sign language to answer the question...! 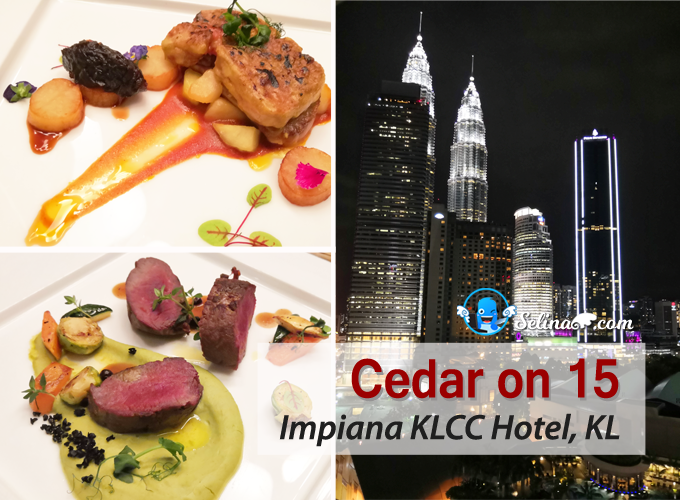 It take 10-20 mins only. My mom also same, worry her sign language is weak! When I started to watch it by myself, I said "Waahh! I never expect that my Deaf friends and Deafmoolah photos also be in the NTV7 TV, I am sure that my Deaf friends will be happy when they watched it? Haha! See my screenshots on TV. 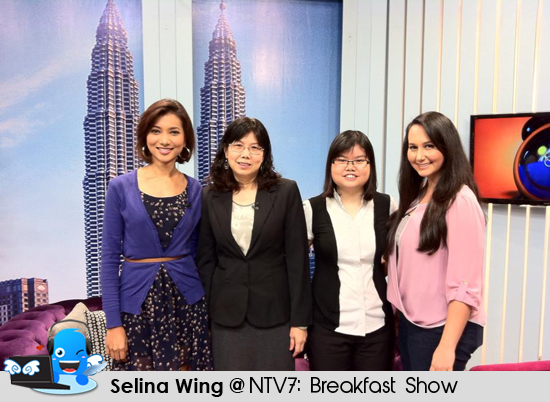 I also like to thank Sasha, Lisa, Lynn and NTV7 crews for their support and encouragement! 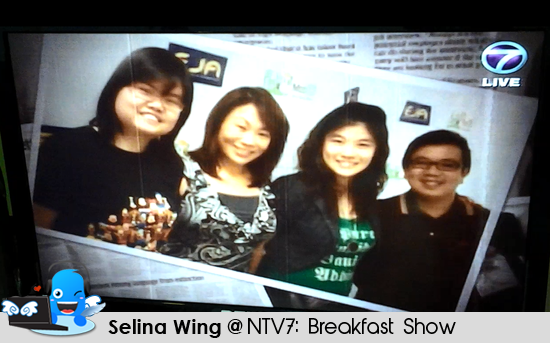 I always remember the sweet memories about my interview with NTV7, Thank you very much! p/s: I heard that Dr Allen Teh & Deaf staffs in DIB: Coffees of Hawaii and hearing friends always recommend my name which in their LIVE and newspaper. That is why my blog spotted by press media so easily. Thank you to my Hearing and Deaf friends who recommend my name to the press media.